Orchid’s world-class cutting edge research into male cancer, supported by an independent Scientific Advisory Board, is more important than ever as we continue to encourage, support and fund research into the causes, prevention and treatment of male cancers. To date our research has identified new ways to treat male cancers and improved our understanding of how these cancers behave, but with increasing numbers of men being diagnosed, we need to do more. The Orchid Research Tissue Bank, a leading genito-urinary tissue bank which collects and recovers tissue for the purposes of medical research and education, sits right at the heart of our research. The Orchid Research Tissue Bank is led by Professor Dan Berney who is recognised as one of the UK’s leading genito-urinary pathologists. 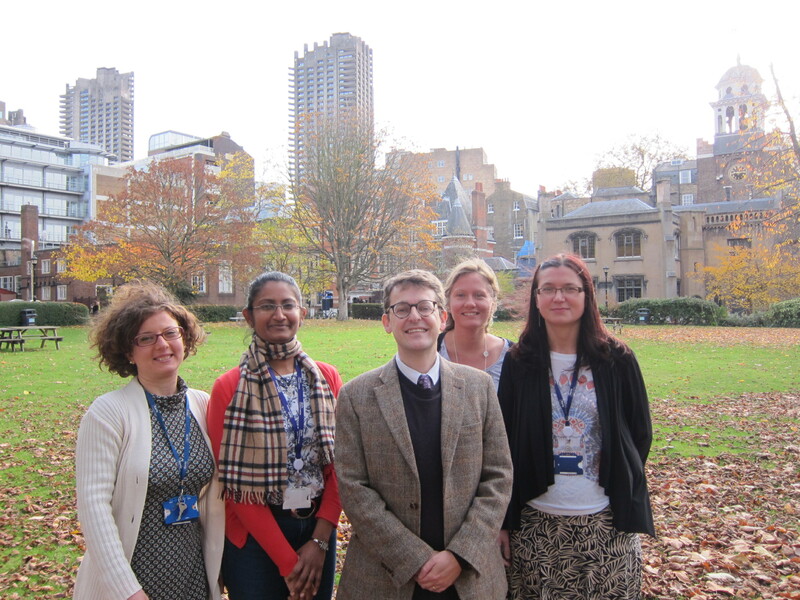 Professor Berney divides his time between Genito-urinary pathology at Barts Health NHS Trust and research as Professor and Principal Investigator at the Barts Cancer Institute at Queen Mary University of London. 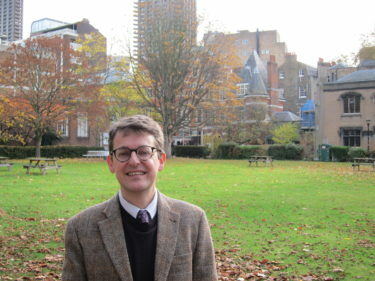 Furthermore, Professor Berney holds a number of senior roles including the lead author on the International Testicular Cancer Guidelines to be published shortly which highlights his standing on the UK and international platform, and demonstrates that the Orchid Research Tissue Bank is at the cutting edge of pathological research internationally. Professor Berney has previously been Chairman of the Association of Uro-Pathologists (BAUP) and Secretary of the International Society of Urological Pathology. He was appointed NHS Professor of Genito-urinary Pathology in October 2012. He is currently International Secretary of the British Division of the International Association of Pathology, Uropathology lead for the Royal College of Pathologists and a member of the Prostate Clinical Studies Group for the National Cancer Research Institute. The Orchid Research Tissue Bank carries out translational work which aims to link molecular and pathological data with clinical trials. To ensure the advance of predictive and prognostic tests it is essential that well validated clinical cohorts are available to test whether these new biomarkers are fit for purpose. This is why is so important for men at risk of or affected by male cancers. type of research is woefully under-funded and we need your help. With your support Orchid can expand the Tissue Bank further, invest in new projects and attract the most talented researchers. The work we do at the Tissue Bank is so important leading to breakthroughs in understanding which help us to prevent, treat and ultimately cure these cancers. Most important of all, we can spare more men and their families from needless suffering”. – Professor Dan Berney MA MB B Chir, FRCPath. holds over 6,500 male-specific cancer tissue samples to facilitate the understanding of prostate, testicular and penile cancers from the potential causes, through diagnosis and treatment as well as considering possible prevention strategies. houses one of the largest collections of penile cancer tissues in Europe, one of the largest testicular tissue banks in the world and is custodian of the largest series of untreated prostate cancers globally. collaborates with research nationally and internationally in addition to conducting its own pathological and molecular research into penile, prostate and testicular cancer. has major external collaborations with prestigious research bodies such as St George’s Hospital, The Institute of Cancer Research, Birmingham Bone and Joint Unit in the UK and Memorial Sloan Kettering Hospital and Indiana University Hospital in the United States. works in collaboration with other Orchid funded research projects, supplying, for example, tissue to Dr Yong-Jie Lu MBBS, MD, PhD, Senior Lecturer at Barts Cancer Institute whose research focusses on targeted treatments for men diagnosed with prostate or testicular cancer, as well as receiving tissue and blood from the testicular cancer trials of Professor Thomas Powles MBBS, MD, MRCP, Academic Leader for Urology Cancer at Barts Health NHS Trust and the prostate cancer trials of Dr Jonathan Shamash MBChB, MD, MRCP, Senior Lecturer and Honorary Consultant Medical Oncologist at Barts Hospital. is committed to the ethical collection, processing and storage of samples reflected by very favourable reviews from the Human Tissue Authority and the local ethics committee under the relevant regulations. 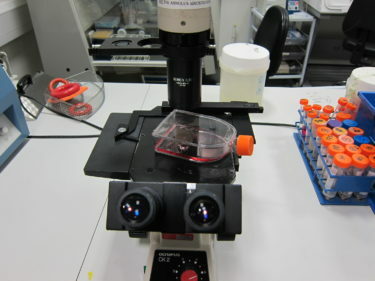 will extend its focus from soley fresh frozen tissue samples to work with paraffin embedded tissue and tissue micro array as these work well with new technologies to produce high quality sequencing and molecular work. The tissue bank focuses on the collection of clinical trials and unique cohorts alongside basic pathological and molecular research. 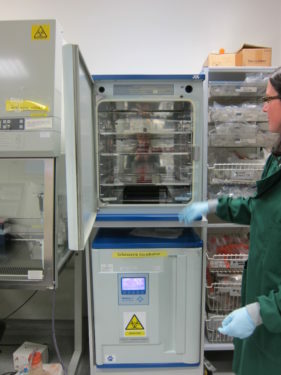 The Tissue Bank collects and manages tissue samples, ensuring validation of the tissue, storage and data management. Furthermore, it constructs conventional tissue mircroarrays for present and future research, some of which involves the interrogation of commonly used clinic-pathological predictive and prognostic biomarkers. The bank distributes validated material to academic and industrial partners and participates with other genitor-urinary groups internationally. Major advances in determining the prognosis of early stage prostate cancer. The team has shown in a number of clinical sets that the RNA (Ribonucleic acid) signature, is a great advance in helping to determine the behaviour of prostate cancer. This test, which has been marketed as ‘Prolaris’ is now increasingly used, especially in the USA. The team has been instrumental in validating a new grading system in prostate cancer which provides a simplified interpretation which is easier for patients to understand hence reducing the risk of misinterpretation. The new grading system is to be published shortly and abstracted in the United States & Canadian Academy of Pathology 2015 as well as included in the recently published World Health Organisation (WHO) classification of GU (genito-urinary) malignancy, of which Professor Berney is a co-author. Research suggests a new marker to assess how at risk patients are of recurrence. spread in HPV (human papilloma virus) positive and negative tumours. This genetic roadmap has been accepted for publication and ongoing work from this project has been awarded a prize at a European Association of Urology conference. The ongoing collection of tissue has enabled the Tissue Bank team to hold novel collections of all three cancer types, enabling research and increasing its ability to collaborate with other groups. 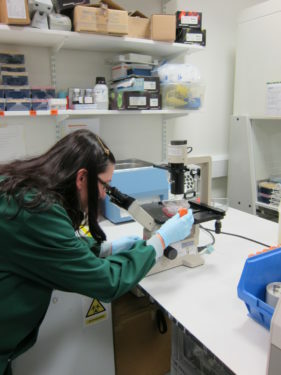 The Orchid Research Tissue Bank plays a significant role both in UK and global research; the more tissue samples pathologists can store and access, the better their chances will be of understanding male cancers and enabling the development of new, tailor-made treatments. The funding for this project has ensured that further research can be undertaken and that collaborations nationally and internationally continue to thrive. Completing high profile research allowed Orchid to support the consensus meeting of the International Society of Urological Pathology (ISUP) into penile and testes cancers at The United States and Canadian Association of Pathologists in Boston in March 2015. The ISUP is the international professional organisation for the sub-speciality of urological pathology and has a major role in defining the reporting standards for tumours of the urological and male genital systems.